It's a Mom Thing Reviews & More! : Picjoy Photo Organizing App! Like most moms I have tons of photos. Add in blogging on top of being a parent and I probably have more photos than you could count. One thing I hate about having so many photos filling up my phone are how unorganized they are! Honestly, who actually wants to sit and organize their photos? It is Picjoy to the rescue! Now within minutes my photos can be organized and easy to find. 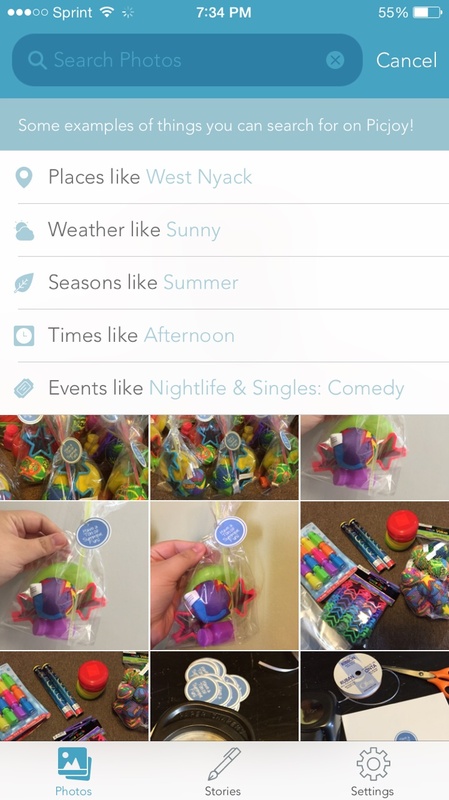 Searching your photos is super easy! You are able to tag your photos with a keyword (such as date, location, time, season, names, and more) and easily search through them. 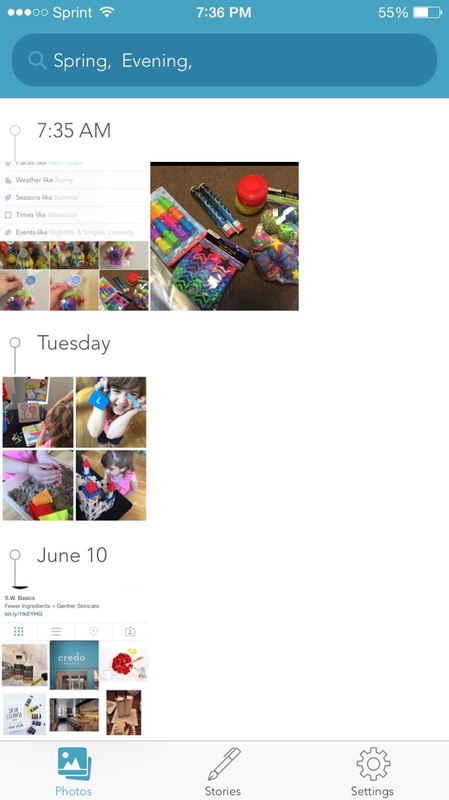 Picjoy takes photo organization to a new level. In my photo below on the left you can see that there are a bunch of ways to search through your photos. On the right I searched by photos taken in the evening in the spring.